This chart of Senate Bill No. 1712 and HR Bill No. 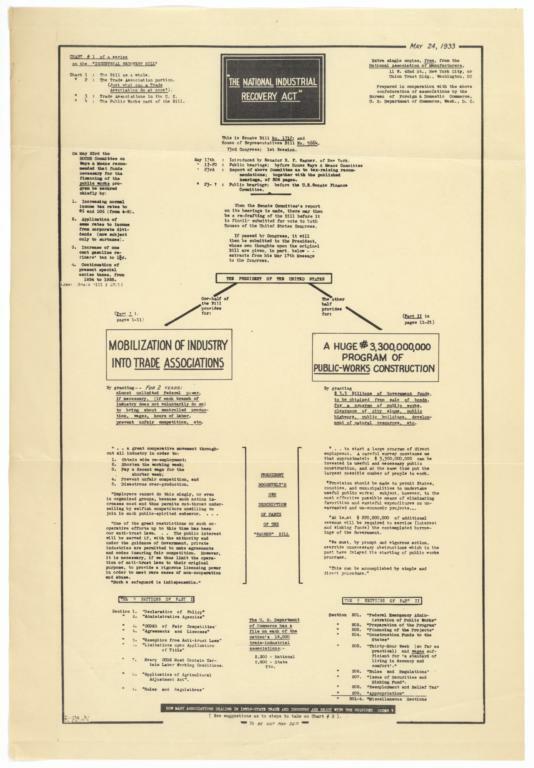 5664, 73rd Congress, 1st Session, shows clearly the two-part nature of the â€œNational Industrial Recovery Act:â€� the â€œMobilization of Industry into Trade Associations,â€� and â€œA Huge $3,300,000,000 Program of Public-Works Construction.â€� The program would be administered by the National Recovery Administration (NRA) and the Public Works Administration (PWA). Statement of responsibility in bottom left corner of chart #1 is illegible.